Before making their first selection in the draft, the Steelers traded the wayward wide receiver to the Raiders for the 75th overall pick. Trades came and went during the first day 2018 NFL Draft and in this case, the Pittsburgh Steelers decided to part ways with Martavis Bryant in exchange for the Oakland Raiders' third round pick (75th overall). 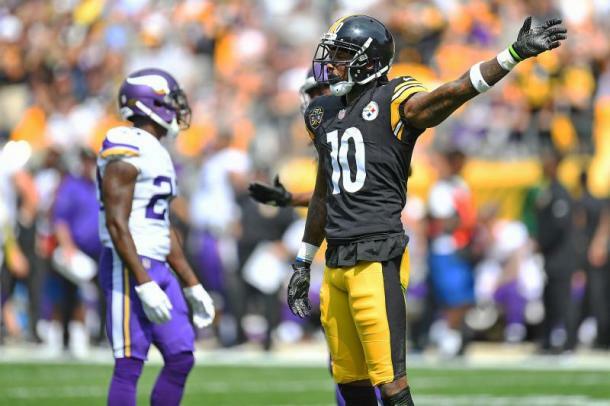 Bryant had been given a lesser role with the Steelers due to the emergence of JuJu Smith-Schuster which led to the wide receiver asking for a trade. Bryant had missed the entire 2016 season due to a drug-related suspension issued by the National Football League front office. Bryant's various off-field issues meant that he missed significant time with the Steelers and thus, had to essentially play catch up last year as he tried to get to grips with how the Steelers offense now played. On top of having allowed him to return to the team on multiple occasions despite his suspensions, the Steelers then had to deal with the fall out of Bryant venting his frustrations on social media about his lack of 'touches'. Smith-Schuster had become Ben Roethlisberger's second target after Antonio Brown due to how well the then rookie receiver had adapted to play in the NFL. Bryant did not like chatter that came with Smith-Schuster's outstanding play and threw in a dig towards his own teammate during the season on social media. That may have been the final straw for Pittsburgh after they had supported Bryant throughout his career and the team began to look for an offer they felt was good enough for Bryant. The Raiders provided that on draft day. When he isn't out of the game due to his off-field demeanor, Bryant can be an useful addition to any team. At 6'4", Bryant is a big target with speed and talent to be able to be a red zone threat and a target down the field. 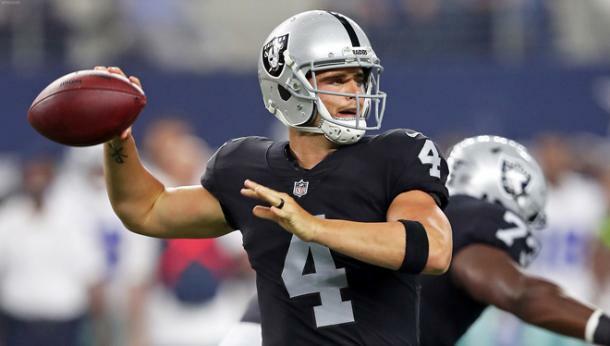 Bryant gives Derek Carr another option alongside Jordy Nelson who also joined the Raiders this off-season, and Amari Cooper and Jared Cook. As the season was hitting its business end last year, Bryant had seemingly found his footing again in Pittsburgh and began to show the skill that made the Steelers keep the faith him for so long. If Bryant can avoid unnecessary distractions, the Raiders have a talented receiver on their hands who can make game-changing plays. Bryant will be looking to add to his career totals of 126 receptions for 1,917 total yards and 17 touchdowns.